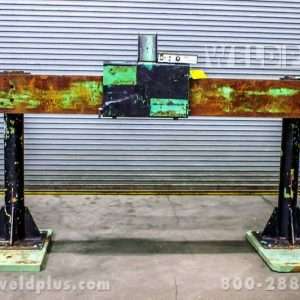 This Pandjiris 20 Foot Side Beam features a Pandjiris VSC 40-12 variable speed carriage that traverses along a 20’ long side beam. 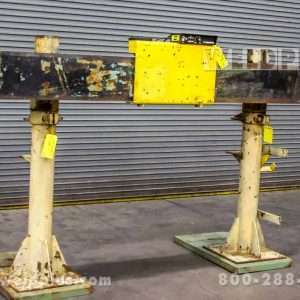 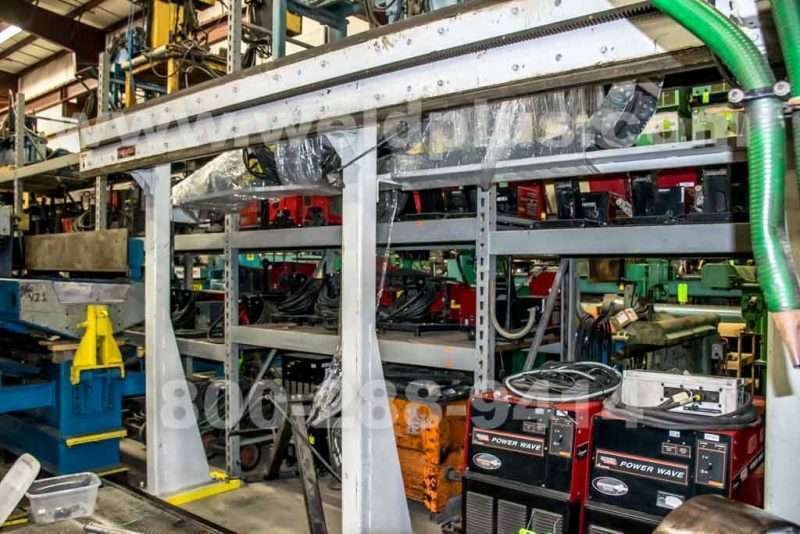 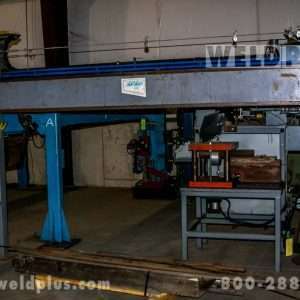 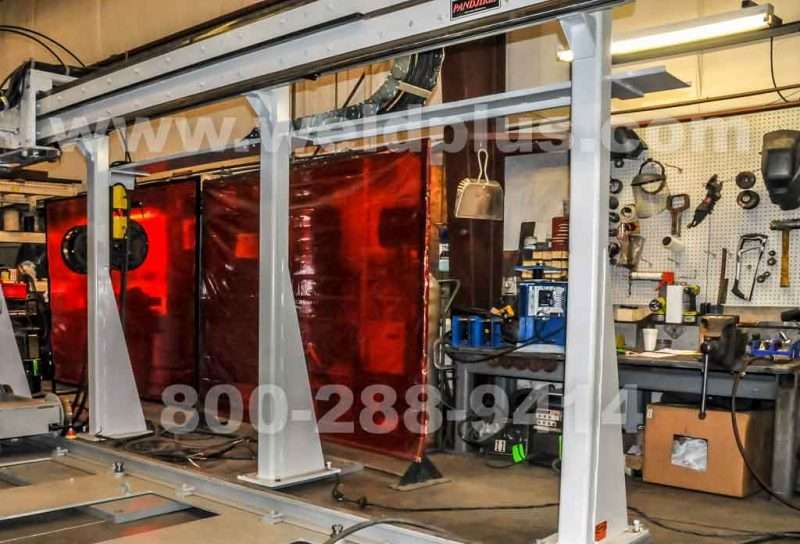 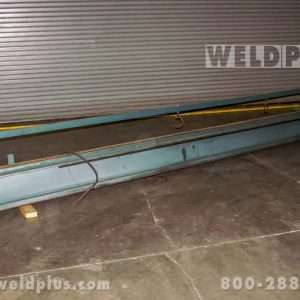 This side beam was used by a local customer as a part of their sub arc welding system and has relatively low hours (See WS170501 for information on the complete sub arc system). 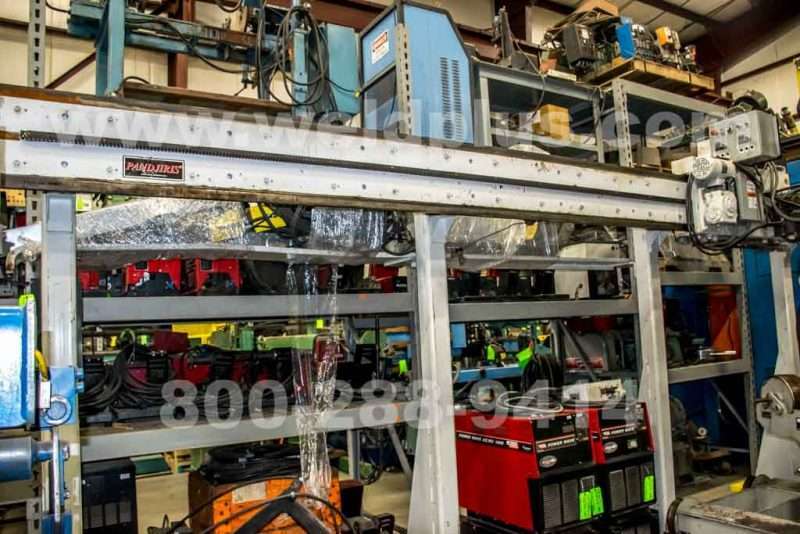 The carriage has a 4,000 lb. 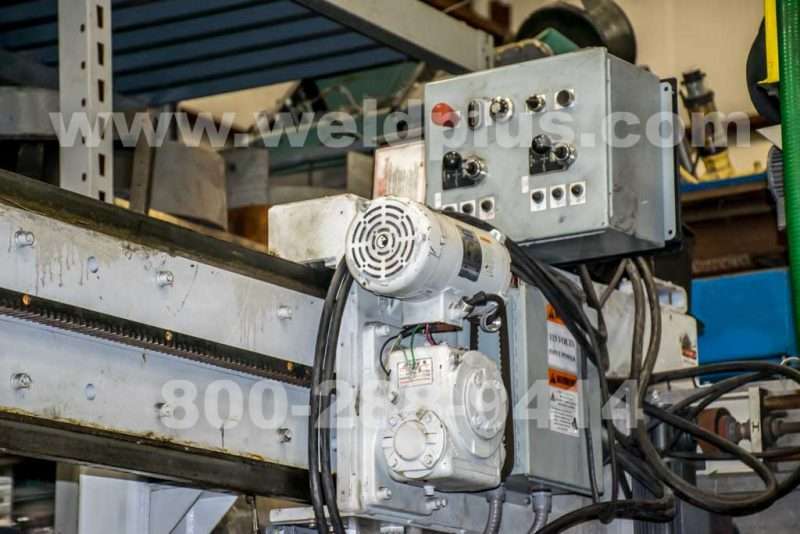 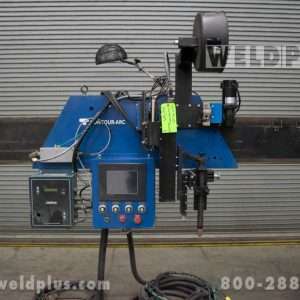 weight capacity which allows for a wide variety of weld package integration options. 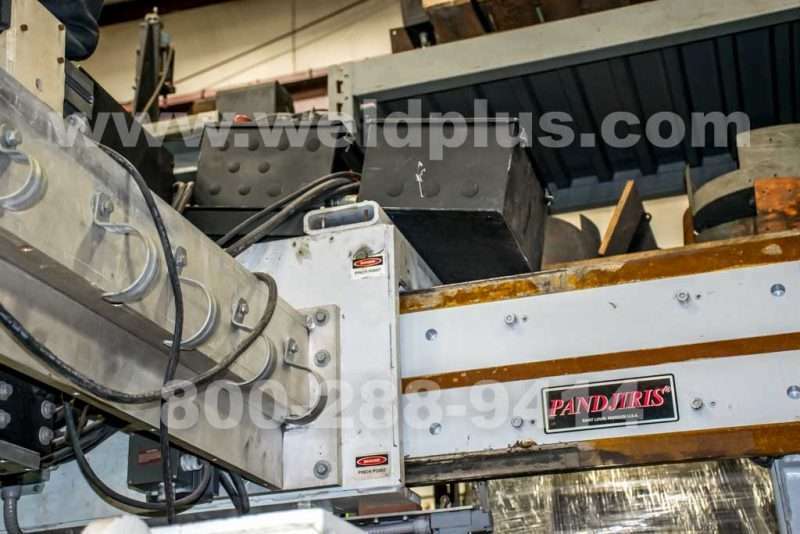 A Pandjiris EZ link carriage control is utilized to control carriage and weld sequence functions. 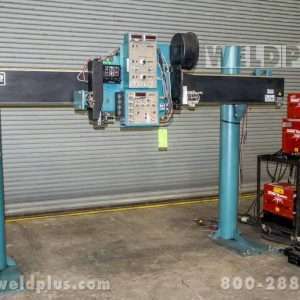 The PLC based control has the ability to operate in either longitudinal or circumferential welding applications. 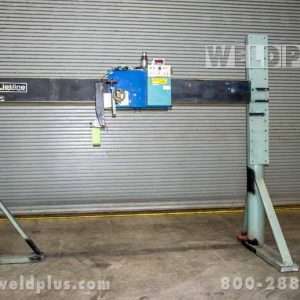 Dual Pandjiris 12”x12” cross slides are currently mounted on the carriage that allow the operator to control the torch position with a joy stick control. 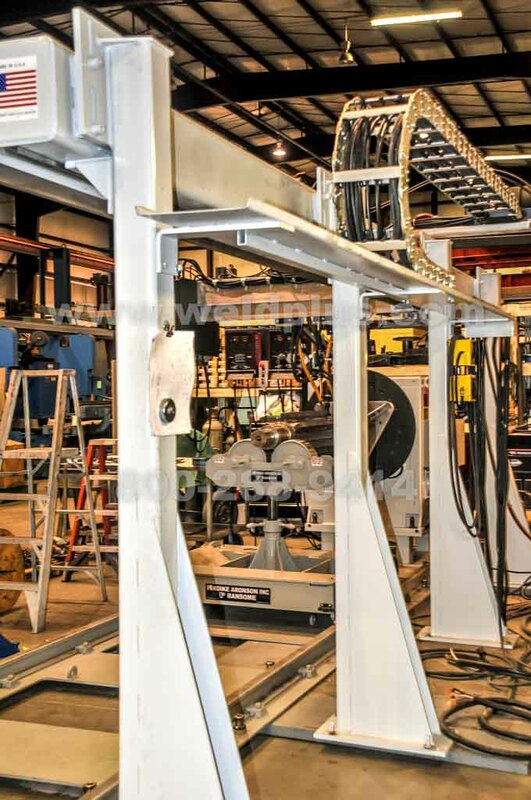 A cable tray is mounted to the back of the beam for easy and safe cable management.